The Export Development Council (EDC) is pushing for various legislative measures to lower the cost of shipping in the country and make Philippine exports more competitive. EDC noted that the country should attract new players to foster effective competition among domestic shipping industries. To encourage the entry of foreign shipping lines, EDC recommended the need to increase the foreign equity in overseas shipping which is currently limited to 40 percent under the Philippine Overseas Shipping Development Act. "Amendment of Section 1009 of the Tariff and Customs Code will allow foreign transshipment of goods without compromising the Cabotage principle," it said. Clearance of foreign vessels to and from Coastwise Port is stipulated in section 1009 of TCC. 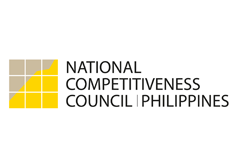 Citing section 8 of the Domestic Shipping Development Act of 2004, EDC added that although the said law effectively deregulated the domestic shipping industry, it may only set their own rates if effective competition is promoted. It suggested that this precondition be strictly observed and implemented through Maritime Industry Authority which is empowered to exercise regulatory intervention on the matter. EDC also traced the unstoppable rate increases in the cargo handling fees to Philippine Port Authority’s mix of functions which are development, maintenance, ownership, operation and regulation of ports. "In many cases, conflict of interest arises in the practice of these powers," it said. "These regulatory and developmental functions need to be separated, and transform PPA to purely a regulatory agency removing its authority to share from cargo handling revenues." EDC also underscored the need to increase private sector representation in PPA's board and the inclusion of other government stakeholders like the Department of Agriculture. To sustain the roll-on, roll-off (RoRo) as a low cost alternative, it is crucial to have a policy that will declare all roads as part of the Road RoRo Terminal System. "This will prevent the collection by LGUs (local government units) of illegal toll fees and also allow chassis RoRo operations, standardization of RoRo terminals and ships," said EDC.